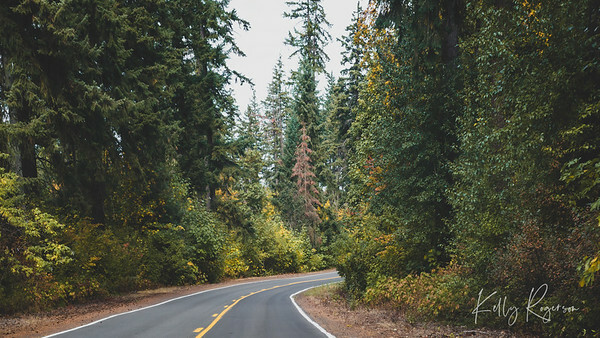 Around the corner, a road that takes you on a new journey. Oregon. 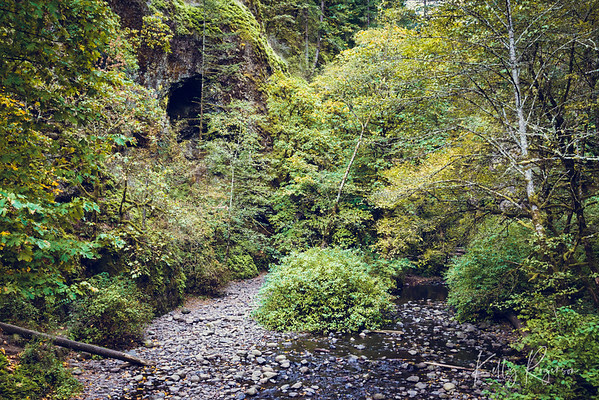 A stroll through the Columbia River Gorge. 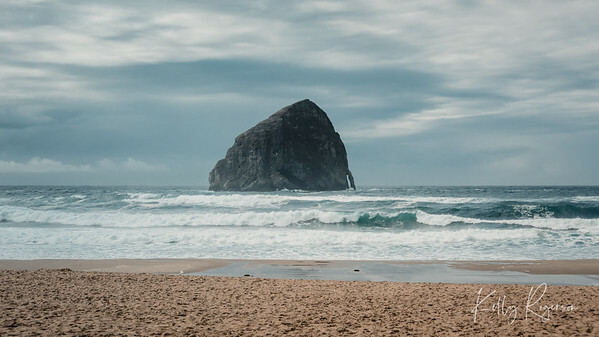 Cape Kiwanda on the Oregon Coast during a cloudy day. 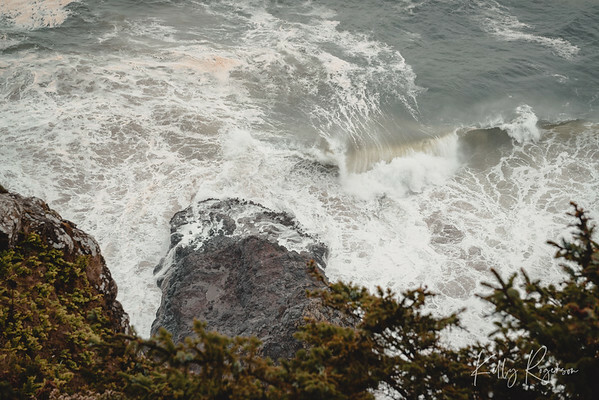 Looking over the edge as the waves crash into the rugged Oregon coastline. Into the trees. A calm and cloudy day on the Oregon Coast. 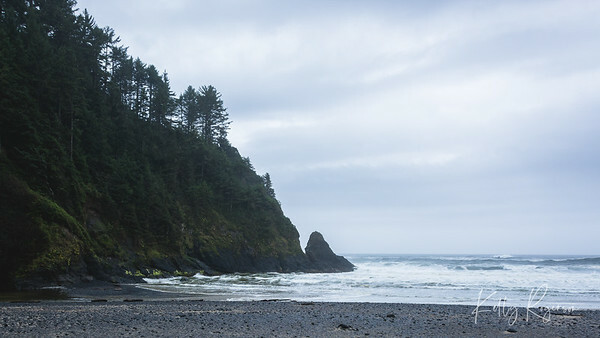 Heceta Head Lighthouse Beach. 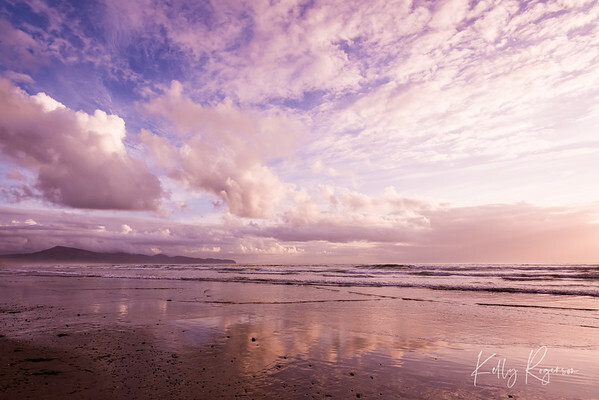 Just as the sun dips on the Oregon Coast, the sky just lights up even more. 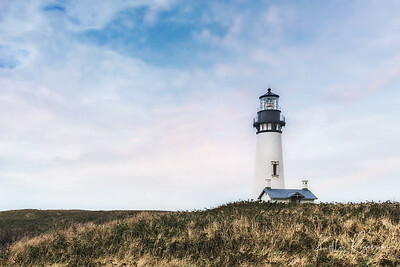 Photographed in 2013 in Yachats, Oregon. Spring time on the Oregon coast can make for some interesting weather. Two springs in a row, our visits to the Oregon Coast in April provided for some interesting textures unlike our visits any other time of year. 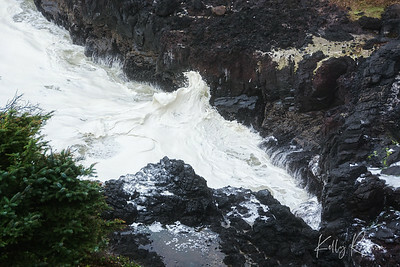 The water on many rocky areas came crashing in with this milky appearance. Absolutely a unique experience! 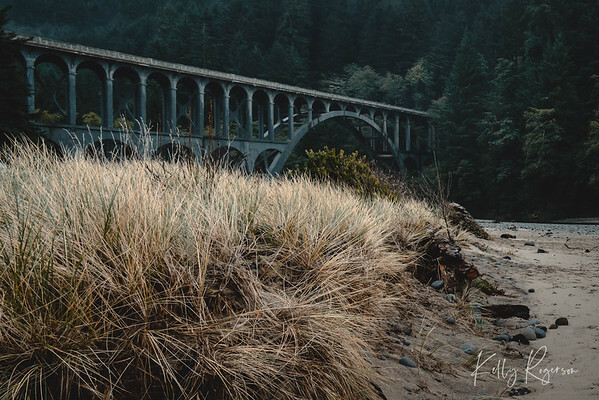 A perfect walk from a city park, over a gorgeous river to land on a stunning Oregon beach. 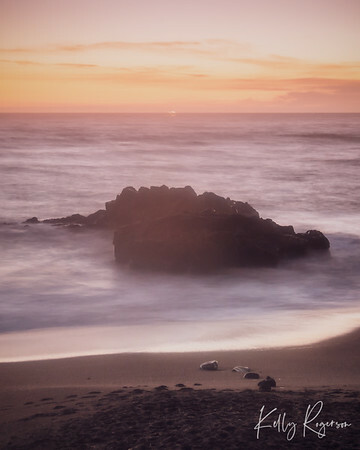 This sunset in Yachats, Oregon was absolutely stunning. My recent trips to this same location have not produced nearly as gorgeous a sunset, so I often look back at this 2013 trip. Hoping to have another beautiful sunset trip to this location next year! Lost in a mossy forest. I could walk through this forest and never want to leave. Oregon Coast, Pacific Northwest. 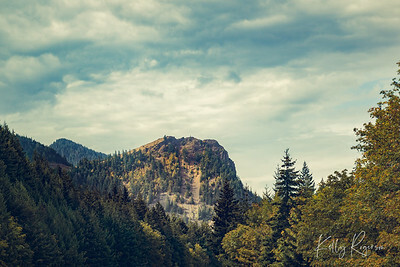 Along the Columbia River Gorge Highway, there's often amazing scenery around every corner. Tall mountains, sheer cliffs and steep rocky ledges. And among it all is the incredibly lush forest. Took a bit of a different take on this photo than my normal style but I really felt this deserved something different and unique. 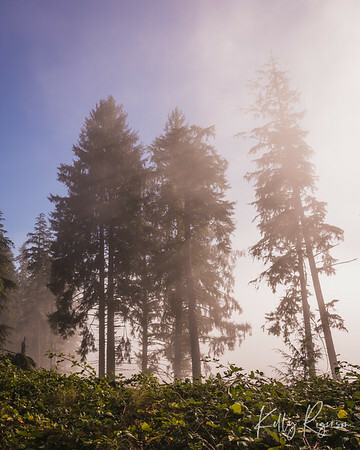 The fog dancing in the sunlight along a scenic drive in the beautiful forests of Oregon. Clouds collecting on the horizon but lifting just enough for a gorgeous sunset on a cool fall day in Oceanside, Oregon. 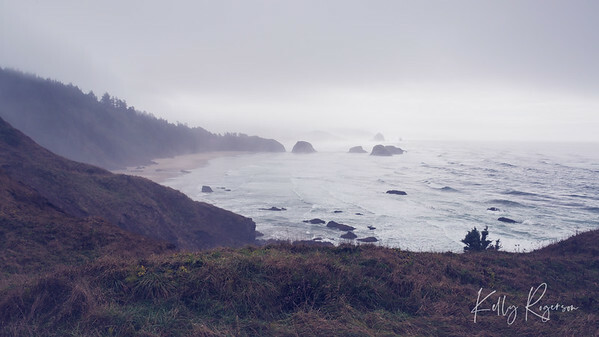 A foggy day on the coast of Oregon can present you with an array of different colors depending on so much, and it can seem to vary from one storm to the next. 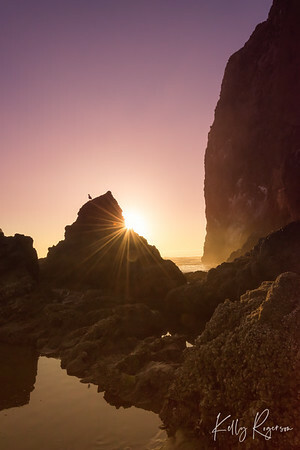 It's one of the amazing wonders of the Oregon coast, and the nature mother naure provides us. This overlook is from Ecola State Park, overlooking Cannon Beach shoreline. Off in the distance you can see Haystack Rock! 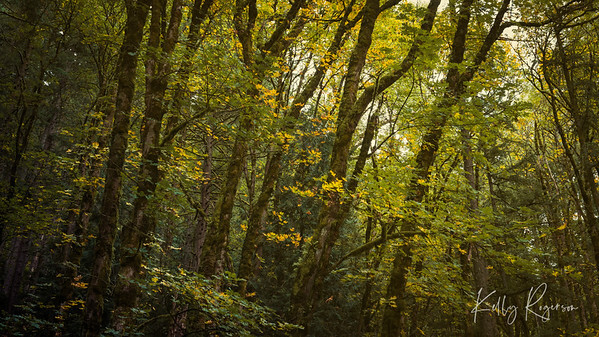 It doesn't take long to drive through the west side of Oregon and find yourself in a truly magical forest. 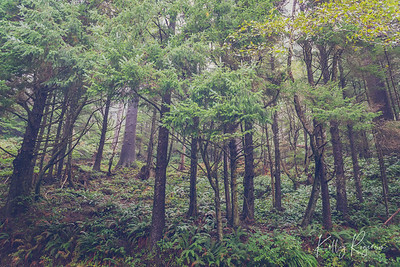 Grounds covered with moss and ferns, trees for miles, and branches above so thick and green. 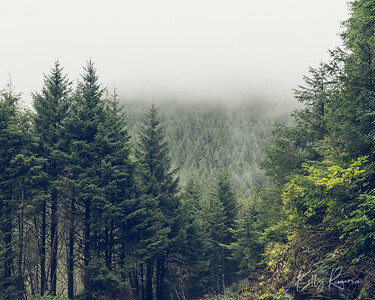 For me there is nothing quite as magical as the Oregon Coast, wethere it be the ocean, the rocky shoreline, or the forests! 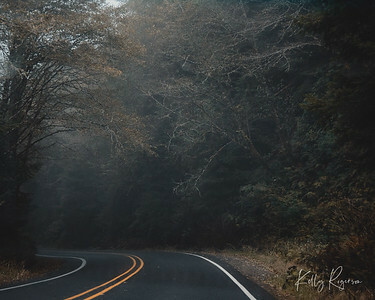 A foggy drive through an Oregon forest. 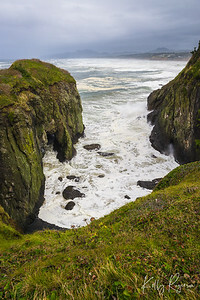 The beauty of waves as they crash into the cliffs and rocks below Yaquina Head Lighthouse, Oregon. Cannon Beach, Oregon at sunset and low tide is quite the site. 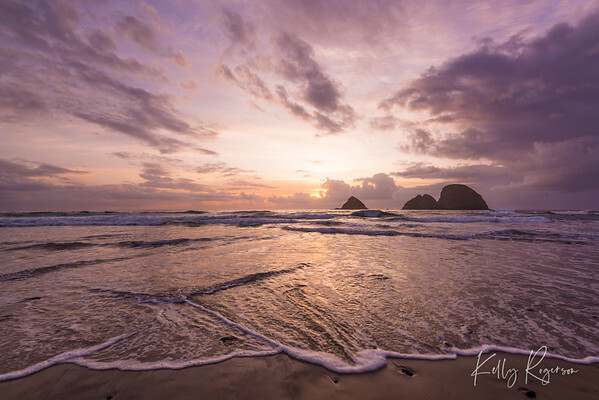 During low tide you get the chance to walk up close to Haystack Rock and all its gorgeous surroundings. Tide pools, starfish, birds, and more! Although hide tide is a favorite of mine, there's nothing like low tide to be able to walk around these rocks that are normally well under water. 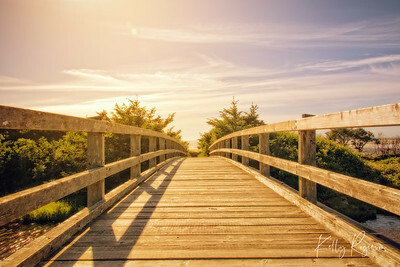 Oceanside, Oregon. Although it was mid autumn, you'd expect the water here to be too cold to stand in, but something about it this one evening just made it a bit warmer than expected. Standing on the beutiful beach, letting the waves come in and flow over my feet surrounding me in water, was an evening of feeling so connected with nature. Feeling nature change and move all around, something so beautiful and yet powerful about the movement of the ocean water and waves. Heceta Head, Oregon Coast. The beach where you start your walk up to Heceta Head Lighthouse. It's a perfect bit of an inlet where you can have a picnic, enjoy the waves and even be a bit protected from the wind. Another gorgeous and somewhat foggy day on the Oregon Coast. 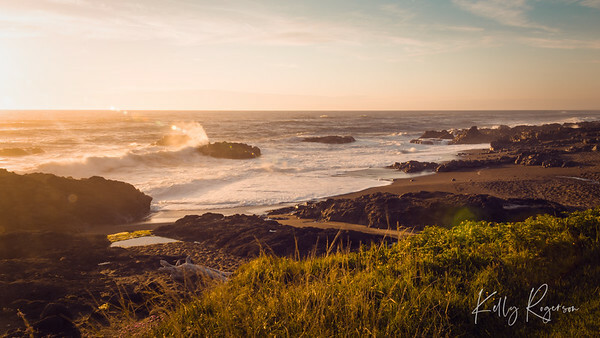 A golden sunset in Oregon off the rocky shores of Yachats.